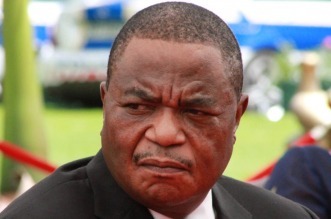 VICE-PRESIDENT Constantino Chiwenga has warned Zanu PF members that are not happy with President Emmerson Mnangagwa’s leadership to “shape up or ship out”. Addressing the party’s Matabeleland South Bulilima and Mangwe leadership in Plumtree on Thursday, Chiwenga betrayed fears the ruling party was worried about the G40 remnants. The VP said the ruling party had no room for fence-sitters, whom he described as “sell-outs” and “Judas Iscariots”. “Party members must chose and be clear as to where they stand. It is and has never been a principle for any party member or leader to stand on the fence. Even Jesus had to ask Judas whether he was still on his side or not,” Chiwenga said. Zanu PF emerged bruised following the November 2017 ousting of former leader Robert Mugabe. At the time, Mugabe was linked to the G40 faction, which was at odds with Mnangagwa over the succession issue. The G40 remnants, however, remain in the party, while others have either crossed the floor or skipped the border like former Higher Education minister Jonathan Moyo. “There are two things I would want those among you to know would happen. First, you must realise that the Constitution provides the basis of impeachment and such basis must be fulfilled before impeachment proceedings begin,” Mnangagwa recently told Zanu PF aspiring candidates. To impeach a President, both the House of Assembly and the Senate have to sit together and vote by a majority. After that, they have to set up a nine-member committee and if that committee recommends the removal of the President, both Houses have to sit again and vote by a two-thirds majority to remove the President.